The garden shack – does it have a future? This year, we have to do something about the garden shack. Before the roof totally caves in and damages the tiller and all my other gardening tools and, I say this lovingly, other junk we store in it. 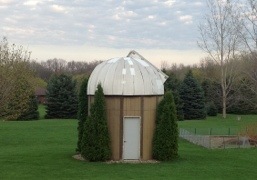 The previous owners built it as a working observatory. The top, white portion of the silo-shaped structure rotated, we’ve been told, and stargazers looked up at the night sky through the vertical portion that juts out (top right in photo). It must have been pretty cool in its day, but not so much anymore. Friday's wet, heavy snow left a pretty coating on everything. Friday’s snowstorm proved not to be as bad as I thought it would be. 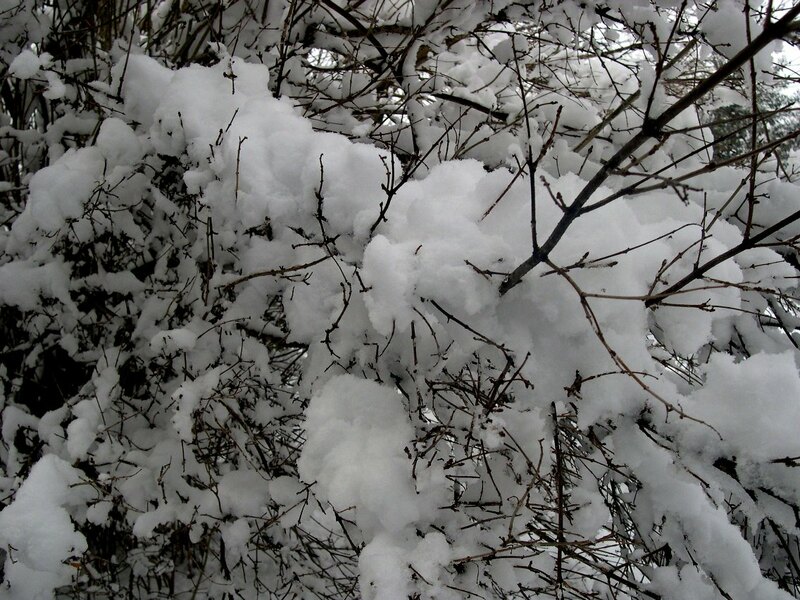 Yes, I’m still in that SAD phase of winter, but the snow was so pretty it was hard to get down about it. I know it’ll be good for the garden – we really haven’t much snow this winter (Friday’s 6.5 inches was the biggest storm of the winter). Come to think of it, until Friday’s snow, I hadn’t really thought about what the lack of it might mean for this year’s garden.